Taichi Meditation is This a thing? In this Podcast episode Beth Misner – Co-founder of BNI (Business Networking International, the largest business networking group in the world!). We discuss Taichi Meditation, Mindfulness and Martial arts training. Beth and her husband have both recently successfully recovered from cancer by following some of the practices and methods in this episode. 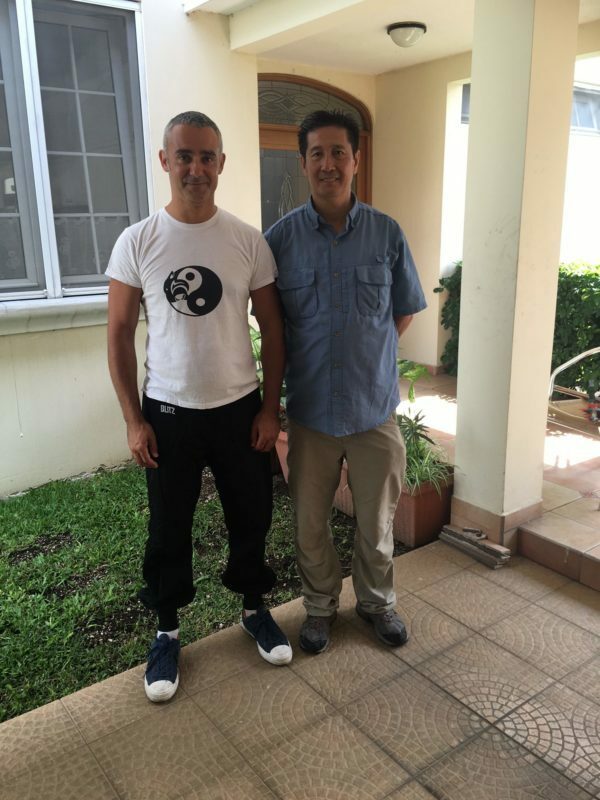 Between us we have a combined 50+ years in martial arts practice and yes Taichi-chuan (meaning supreme ultimate fist) is a martial art and can be trained in this way. I will include some links to resources and videos in this post. Taichi meditation is just something that happens, it is not only why we do Taichi, there is so much more to it than just meditation. Well, I’m really excited today because I’m joined by Elizabeth Misner or Beth, as she likes to be known. And I’m going let her introduce herself. I don’t like to do that, but I think she’s best to that herself. And we are Facebook friends, and so we chat over Facebook. So my official bio is probably not something you’re familiar with. Anyway, so I am married to the founder and chief visionary Officer of BNI, the world’s largest networking organisation. Ivan Misner started being I in 1985, and I joined BNI and I joined in 1986. So, although we have about a quarter of a million members, 74 countries over 8500 chapters. Now, I’ve been there from the very beginning when there were only 20 chapters and I was actually one of the early regional directors for BNI, and I got to travel around the United States primarily opening new regions for BNI. However, my founding roots of my life were in healthcare. I was a chiropractic assistant. And so the whole time we were growing be and I was keeping my foot in the door with health care and I have a certification in nutrition. I got into martial arts and so I was able to really help coach the martial artists have the best nutrition that they could with their food, their diet, their supplementation, and then I got into health cleansing and way of, you know, detoxing the body of chemical chemicals that the body holds and people were losing way and getting healthy, getting off medications. And so I really gone and more specialised in helping people create abundant health. I had the chance to help my husband heal completely from prostate cancer. Using the principles that I teach and then not long after that I got the opportunity to help myself heal metastatic breast cancer last year 2017, completely healed with no conventional interventions, no chemo, no radiation, no surgery and in about five months. So what I’m doing now is I’m blending my martial arts with my Tai Chi and Qi Gong instruction with health practices and the medical healing arts including meditation, Qi Gong, sound therapy with healing bowls, and when I’m in and I travel for being I now since the business is has changed a lot and I’m not working in the everyday business. I lead Tai Chi in the morning for our groups that are meeting and training, doing their education and doing their conference. We have Tai Chi and meditation in the morning and then if there’s anyone during the day that has a headache or maybe dealing with the time change and struggling, I get in there and help them with energy work and aroma therapy. And we meditate together. So I’m back in my kind of my calling back on my path. And I’m just loving it. And that’s where you and I connected. We connected through the connection, the commonality, we have it. Exactly. Yeah. 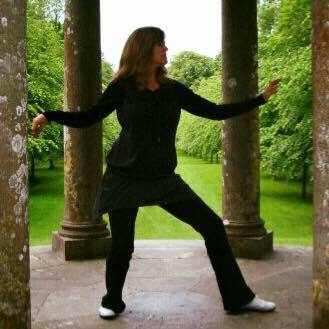 I’ve been doing Tai Chi 22 years now and do Chi Kung on most days most pretty much every day. Sometimes I just get so tired from work that and that I just that I just I can’t do it. And if I don’t do it in the morning first thing, then it becomes a nightmare. So I have I have this thing instilled in my brain train for like for between 5am and 7am for I don’t know, it’s got to be it’s got to be at least 10 years. I did that for 10 years. Old training video of the Wundang, Wu-Cheng or Practical Taichi Style I practice. Featuring our late great grandmaster Cheng Tin Hung. I wish I could have that discipline but I don’t tend to, Ivan has slowed down the work day and is sleeping later in the morning, I’m usually sleeping later with him, but you’re right I gotta get up and get right to it. I started in martial arts when I was 25 I’m now 54 so that when he nearly almost 30 yes it is part of who I am. I can’t get away from it I mean I think what’s very interesting though is you know with with with the Tai Chi and like the martial arts is that I mean for me the postures that I’m that I’m holding are so excruciatingly painful that actually my brain can’t think very much because I’m too busy holding the posture. I’m too busy holding my arms in a certain place. They’re very demanding the exercises that I’ve been practising for 14 years I mean we have a very closed school system in our in our style. The original rule was you can’t, you can’t really learn the internal strength exercises for six years generally. And that and that rule was was something that that, you know, were stuck to for many, many years. I decided that I was going to go and research it so I travelled to Guatemala and I literally literally went and tracked down this Hong Kong Chinese teacher who in my mind for me, he’s my teacher now. I went through an initiation ceremony, inside the door training where you where you show respect to your teacher, and then and then you know, they teach you the internal strength and then you become, what you would call a disciple. I mean, that’s generally what it’s called. But in a lot of Tai Chi styles, you find that this disciple pupil relationship is actually rubbish. Because generally, the knowledge that is passed down from the Grand Master, I have my fingers in the air, making that funny sign is not original Tai Chi, it doesn’t contain what you need to move forward with your life. I mean, the martial applications don’t exist. Yeah, they, they, they teach you Chi Kung on exercises or internal strength, which is borrowed from Shaolin Kung Fu, which involves you know, hitting yourself with bricks and and sandbags. I mean, my friend, my friend did it. He showed me what he went through and you know he was hitting himself with bricks and and banging his back on a wall making these hard and noises you know, like external grunting noises. And that is not Tai Chi, right? Unfortunately, you, you have people who are like, Oh, they are Chinese, they must know everything. And it’s like, well, actually with the Revolution and the way that the way that China went through the changes. The people just left the country. They went to Hong Kong, they went to Singapore, and they went to Taiwan. And the Western world. And, they took their martial arts with them because they were banned from practising martial arts publicly. So that’s why you find the Western world has, really amazing instructors versus China. Watch the Bagua / Pagua Demo Below. And I mean, I’m not saying that China doesn’t have amazing teachers as I went there trained with someone who is an Amazing Baguazang instructor he developed his own Bagua style from from XingYi, Bagua and Tai Chi put all these things together and developed his own kind of thing. His own Tai Chi style he sort of put together but you know, these people start when they’re five years old. I’m 30, I’m 20 years behind, many years behind, you know, however, what we’re here to talk about is mindfulness. I think before we get into that, we need to address the fact that mindfulness does not talk about religion. We’re not talking about religion. Religion is a separate entity, what you believe you believe, right? If you’re a Christian, like I am, yo are a Christian, right, fine. Yeah, you That does not mean that because you’re Christian, you can’t practice mindfulness or meditation. Right, right. Yeah, yeah, that’s I agree with you 100% there and I see so many monastic Christian communities who are sitting in contemplation and meditation, and and you know, there’s no there’s no ownership in any one particular religion, of mindfulness or meditative practices. It’s actually kind of a scientific thing that our physiology requires. I heard a meditation master say one time that he’s told very often that people’s biggest complaint is I can’t meditate. As soon as I tried to meditate I fall asleep and he says, What do you think sleep is sleep is that stilling and quieting of the physical app activity, you’re still your mind goes in your brain waves actually change because your body has to be in that state in order for you to survive. So when you are meditating or practising mindfulness, and you’re awake, you’re still sending simulating that state and your body gets to move into the parasympathetic nervous system, which you have to do in order for your immune function to work properly, your digestion to work properly and for you to have the quality of sleep that you need. So it is used in religious practices for specific purposes. But it is a physiological necessity for the body know that the science is there to just show you’re more productive. When you practice mindfulness, you aren’t as easily distracted, you’re not pulled off task. You don’t have the high levels of stress because you’re able to quiet and calm and self sooth, which is huge. Most people don’t know how to self soothe, they reach for a beer or they reach for illicit drugs or they turn on violent TV where they can just check out or whatever. They’re not allowing their bodies to go into the parasympathetic nervous system, which is something like Chi Gong. If you’re practising the style I do, everything is very slow and repetitive and soft and gentle. And you’re focusing on the repetitive movement. And the brain is able to move into that meditative state. And the body goes into the parasympathetic dominant nervous system. And you’re, you’re actually meditating in motion, which I just love, right? So so so what we’re talking about here is actually just cutting down the number of thoughts that we’re that we’re having so that we can so so that we don’t really think is that is that how you would describe it? I typically try not to describe it that way. And here’s why. Because the brain is a thinking machine. It would be like asking the lungs to stop breathing to expect the brain to stop. Thinking but what we do in meditation is we’re training the brain how to think quietly we’re training the brain how to hold attention on one thing and that one thing can be emptiness or quiet or it can be a flame or it can be gazing at the cross if you want to do it use it that way just to train the mind to think of one thing don’t jumping around to all different things. I’ll give you an example. I have a childhood experience that causes me to overreact with certain things that other people do I just completely overreact and they may not mean to trigger that reaction me but it happens so fast that I feel like I’m out of control with the reaction right this I started training my mind to whole thought. To not run around, and, you know, while I’m trying to hold the thought be singing a song in my head that’s happened. I’m trying to meditate. And all of a sudden I’m hearing dude looks like a lady. What? But so last week, my husband, I love him to pieces. He had no idea he was going to trigger. It’s almost like like Post Traumatic Stress Disorder. It gets triggered. And because of the way I have trained my brain in my meditative practices, when he did what he did, and my mind started to glam on to that and go over it and over it and over it. Oh, and give it all this meeting and get my blood pressure. I felt myself panicking. I felt the heart racing I felt my breath getting more shallow. I was able to say give me just a moment I’m going to step away for a second breath, tell my mind. You’re not going to ruminate on that. You’re not going to get obsessed over it. You’re not going to grab it and refuse to let it go. You’re going to release it. Then you’re going to come back after you’ve calmed down. And you’re going to ask for clarification. What did you mean when you said blah, blah, blah, because brain you have taken it in a direction I’m certain it wasn’t meant to be. And so you train the mind to think intentionally right so it’s it’s powerful it works in interpersonal relationships it works with conflict at work it works with your to do list when your to do list is so long if you have train your mind you’re able to focus on point one then point two. Then point three I have ADD and until I had trained my mind point 47 would keep me awake at night. And I wasn’t point 47 yet, but I was aware of it and the pressure of it would drive me to distraction when you’ve trained the mind. How to think intentionally and how to direct, it’s like it’s like you’re holding the leash walking the dog; it’s not the dog walking you and it’s powerful powerful tool yeah it is an amazing tool but your consciousness is the master of the tool and what we do if we don’t meditate and train the brain is the mind becomes the master and the consciousness is just asleep. Right, I’ve been doing this study into hypnosis and that’s something something to kind of just sort of think you know think about like the subconscious mind and you know, is according to Jonathan chase who’s who’s Britain’s leading hypnotist he studied for 30 years and he’s now focusing on subconscious skills for success. But that but that is in essence what we’re talking about, it’s about managing to control not just the conscious mind, but the subconscious mind because we all we all we all mess about and like we might say the wrong thing and think I wish I hadn’t said that, you know, it happens to everybody right? Because the back of the brain isn’t in harmony with with the front of the mind, right? So so I mean the sort of the Qigong exercises that I do whilst I’m going through that pain; it doesn’t hurt that much after that many, many years. But if I increase my stance if I’m really stressed, yeah, and I’m like, right, I’m going to just train really hard now I will increase my my posture, one of my postures and it will hurt so much that I couldn’t even think about thinking about something, because I’m holding a posture that if I think about anything else I’m going to fall over I have to sometimes I have to lean on the wall to get up I mean like seriously but but like a lot of Yoga is like that. A lot of martial arts have part postures that you hold, like a horse stance is predominantly I spend most of my life in a horse stance. But, but like meditation and mindfulness can be created from any pleasure. Yeah, walking, running. You can do mindful practice with eating and just, you know, when I was very, very, very stressed before I had cancer, and once I developed cancer, I really learned how to not go through life stress, because that suppresses your immune system. I was taking a bite and chewing the food. And before swallowing. The next bite was coming in. I hadn’t even swallowed the bite that I was eating. So learning how to eat mindfully. Put that fork down to the food, taste it feel the texture, taste all the flavors in the meal, you know, and just enjoy. let yourself feel grateful for each bite. That’s a practice of mindfulness around eating your meal, just having a super something, you know nothing. Nothing complicated. Yeah, I’ve heard that. Who to? Who was it? That said, once you start to eat more slowly, walk more slowly. Think more slowly. Then we can do something about your spiritual life. I forget who that was. Who was that? I don’t know who that was. And my head I tell you though, but I tell you, I had a really cool inspiration what because sometimes I like I’m not saying I don’t think what I’m training but what happens is I when I train, like I wake up I’m like, I’m either too tired to train and I just sit at a coffee and then I’ll eat a banana then I train; I mean we’re talking like five five to six o’clock in the morning like this is tough sometimes, however, I will I’ll get up and I’ll and I’ll get into that but sometimes my brain is still thinking about things that I really want to stop it thinking about. About so so then I will then I’ll be like, look, just calm down, it will pass. And I just let it let it go around and around and around. And then by the time I finished I have generally forgotten what on earth about that, but the problem is that I didn’t write it down because because it’s a solution. It’s a solution based thought process. Yeah. And it’s like, if you come up with a solution, you don’t write it down. You’ve just wasted all that calm energy. Right, that you that you that you’re creating. But it’s, it’s, it’s, it’s great to actually have a holiday from thinking I definitely think it’s slowed down the number of thoughts in my brain. I mean, I’ve got a friend and like he’s, he’s watched me for the last 10 years nearly. And he’s like, Look, come out for a cup of tea and the other day took me for lunch. And he and I could even tell that I hadn’t trained, he saw it in my head because; he could see almost from observing my behaviour. I was stressed I was I was you know I’ve been doing a lot to too much work I’ve been I’ve been you know burning the candle yeah like really hard to achieve you know this will be probably the 20th episode yeah with, but the first episode was the 24th of November yeah and I didn’t release another episode for about seven days after that or 10 days and then I just went every day every day and then after Christmas every single day, as soon as we came back yeah; so that just took its toll and he could see this, and if I’d have exercised I would not have been that person who he could see; because no one likes to go to lunch with someone that’s all over the place, he said don’t talk about work let’s talk about my new shotguns I’m buying you know and it was just like…. But it’s good that you felt that difference. Most people, I would venture to say, have never experienced the calm, placid water in the brain. It’s always choppy. And so they don’t notice the difference. A lot of drama. They, you know, they don’t that all I’ve got girlfriends that can talk 90 miles a minute, and all three of them talking at the same time. And I’m sitting there going, Well, this is overwhelming. Yeah, yeah, that’s the thing. But that’s the thing though. Like, the more of this that you do, the more choosy you become with people because you become more sensitive to other people, definitely. But like you said something about didn’t you say something about gongs and light sound therapy is the reason. All right, well, I’ve got someone to introduce you to he asked him in his him and his wife. They’ve basically got, the biggest selection of gongs in the United Kingdom they spent thousands of pounds on these guns. Yeah. And they’ve got like, you know, glass sounds, they’ve got gongs that are like, massive. Yeah. And they’ve actually they actually do Gong meditation sessions. Oh, that it was part of my cancer healing included sound frequencies, they have shown on microscopic microscopic TV cancer cells are able to be completely obliterated with this specific frequency and duration of frequency. Because these cells are immature cells. They cannot release the soundwave raw sound energies coming into a cell. A normal cell that passes through the cell looks like it would pass through your wall and you can hear your neighbour playing their radio next door. But with the cancer cell, the frequency builds up, the energy builds up in the cell and the cell just disintegrate. The tones the nine tones and the C scale over a 14 minute period playing each bowl and singing it so that that resignation residence was from within as well and just imagine the cancer cells holding that energy until they’ve just kind of exploded you know this therapeutically with high intense frequency ultrasound and ultra sound sound waves are killing malignant tumours in the brain and the lungs and the prostate and the breast, they’re all being used therapeutically. No longer in clinical studies. In some countries, you can actually go into Italy or Switzerland, Russia, China, and you can receive these sound therapies from ultrasound to to kill your cancer tumours. Wow. I remember. That’s amazing. I remember I went I went to meditation session in this with with the gongs. Yeah. And find a gong. I’m looking for a nice gong. Excuse me. But yeah, I think I think that’s just so amazing that that, you know, we’ve kind of met on Facebook just some random message. I don’t know how we started talking about martial arts or something. I’ve I think it was because I said, I just don’t want a conversation with you. And I because I saw you a lot and I was like, so. Oh, yeah, I’m teaching my dad Taichi. You said what you’re teaching your Dad Taichi I’m like, Yeah, he’s 85 and then we just have this massive long conversation which is very funny. I’ve got a long way to go and Tai Chi, I’ve kind of I’ve kind of taken a step away from the weapons forms and I want to get back to those, we’ve we’ve because we’ve got like in our style what like to sabre, sword and spear and I’ve like I’ve learned sabre and I’ve learned spear but I but I need to learn sword properly because the Learn sword is like two years to learn. So three years to make it look nice. So I’m probably will I’m probably like an eighth of the way through the sword form. I actually won first degree trophy in the black belt category for women aged 40 and above. In my hard style martial arts. The sword was my weapon. I loved the sword. So when I started working with my Taichi master, I chose the Tai Chi sword master. Oh, or form the short short style Yang style sword form. But Taichi has got so much power most people just think it’s just like a soft martial art for old people and it is but it also isn’t, you know. I had a lady in one of the Tai Chi seminars that I was actually participating with my great grand master I wasn’t teaching this seminar and he started taking us through that Taichi form and showing the martial applications and she’d been training with one of his students that wasn’t showing the martial applications and doing it as a meditative movement. And when he started demonstrating this is a grab and this is a strike and you know a palm heal to the nose she put both our hands up over her face and she said oh I’ve taken a vow of non violence I can’t do this! You know master Yang right, he killed like a hundred bandits with his bare hands, didn’t need like one day or something that all sorts of stories about that. Yeah, but what fascinates me is is the Bagua master yeah called he was called Coal Ma. Have you heard about him? I have not I’m not a really deep into Bagua. Okay, well his I’m yeah. I’m not I don’t do Bagua anymore. But But I did for a little while and I kind of a train with someone really good embark on and and there was this. So he was called 10 Day Ma. That was his nickname. Yeah. And he was the reason he was no, sorry, 10 day ma was his nickname. Yeah, yeah. So he was a coal merchant. Okay. And he used to train his palm strikes on a pile of coal. And the reason he was called 10 Day Ma, okay. was because you’d be dead within 10 days. If he struck you from internal organ failure. But like, but like, the thing is, I’m just enjoying learning Brazilian Jiu Jitsu right now. It’s just like, yeah, you can do Tai Chi. Yeah, right? But as soon as one of these Brazilian Jujitsu guys gets on the floor, yeah. Like you just screwed, like, I’m not joking. Like you just tap right out you get in an arm lock or or a choke or you know and it’s and it’s worth learning some of that just so that you know, if you do end up on the floor you’re you’re you’re you’re in a good place really I mean I think I’m just enjoying it from from from a learning point of view. You are a journey person you’re one of those people that likes to pick up threads and follow them Have you done Capoeira? No not yet, I’m going to do that at some stage, you have? I did we did seminars so I had just a day long seminar a couple of times and kicked me, oh, man, you’re so sore after but I love it’s a dancing kind of martial arts combined with street fighting, and I really, really enjoyed just the the bit of it that I got to do. So what hard style martial art did you do? The Shotokan to based school it’s in based out of California called Red Dragon, Karate. And we did a harmonisation of seven main martial arts forms. So I had got some Judo some Jujitsu, some I Aikido and then just a couple of different forms out Karate from Japan we did some Did I say, we did Kung Fu. Ahh you hurt me I mean I got bloody nose and thrown to the mat and I learned how to power through that, even emotionally and come back up and defend myself. So that was that was good for me to have done that, we did form we did musical form we did a lot of type kind of gymnastic stuff thrown into the mix the teachers nephew was a break dancer. And so when he did demo team, and the demo team would have a Kata that they would do. They would always be these crazy break-dancing gymnastic things. And then the flying kicks and all of that. It was a lot of great days. Great days. But at the the end of the training, I was 40, I was getting cortisone shots in my elbows and MRI and my knees. And I’d had a couple of head injuries. And I realised that I didn’t want to keep punishing my body that hard. You know, and I really didn’t want to stop being a martial artist. So that’s what put me on the path of Tai Chi, which I wish I had learned Tai Chi first, maybe so that my body wouldn’t have broken down as much as it did. I think if I’d had internal strength, and I love push hands, push hands is so fun. And then enabled do that up routing throw or the Fa jin to be able to, you know, you’re just, you’re just playing and then all of a sudden your opponent is as yeah, you know, uprooted and tossed across the room. I can’t do that either. Sometimes, it comes quite easily. It all depends on how on how good they are, and how sensitive they are. You know, there’s a lot of sort of talk of Fa jin and everything else. But it’s like, well, actually, if you just look at your body as a unit, right? And you say, Well, you know, from this stance in this position, there is only one way that I can move. And I can only move that way or two ways, because that’s the way that I’m standing. So if I’m standing, and it’s a bit like pulling a bow back. Yeah, if you pull up, if you put an arrow back, you can only find that arrow one direction, right. So, so if you’ve turned, you know, perhaps, perhaps, to the right, you can you can then strike to to the left with your right hand. Yeah. But but it’s about using everything, isn’t it? It’s like Bruce Lee talks, talks about the one inch punch, two inch punch and Tai Chi. There’s no inch, no inch palm strikes, right? So unfortunately, my friend used to like showing that to people in the pub. It always up we we’d have a few beers. We’d have a few beers and ended up with him just talking to someone who’s like, 20 or something. And then it’d be like, he’d be like, if you heard about like, no inch palm strikes. I they would be like, what? And it’d be like, yeah, yeah, yeah. Have you not heard about it? And, and they were like, No, I don’t believe it. If you like you. Sure. I’ll show you. And every time I just put my hand on my face! It’s gonna wind someone and he would, he would always end up with just winding someone. And I’d be like, not this again. You know, and but it’s like, that’s not what Tai Chi is for. It’s not for hurting people. It’s not for showing off. It’s it’s for self-defence, health and mindfulness. Like clearing your your, your brain, you know, and flexibility a long life. My Tai Chi master was a college university football player, big guy played on his university’s football team and he was a fifth degree Sifu black belt in the Chinese style and he was training for the Olympic team in fighting and they were getting ready to go to a match and he was also training with Grandmaster William cc Chen. There’s not enough hours in the day for that! I don’t know how he does it. But this is his life. It is now Yes. When you talk about someone with an equanimous mind. And when you started saying, you know, close your eyes and let your mind move into still and quiet a peaceful and attentive mind. And equanimous mind, mind I’d be like an equanimous mind when the heck is an equanimous mind, you know, but I saw that in him. And that was what I desired to have for myself, and hopefully I’m on the path. I need to, I need to go back out and train with train with my teacher Sifu Tong Chi Kin. There are some very good teachers in the UK actually. And, the head of the UK Taichi Association. The chairman Dan Docherty. He’s, quite inspirational, actually, unfortunately I think he developed Parkinson’s. And he’s been actually doing his Tai Chi. And he’s continued to teach throughout that, and I think he’s actually part of a clinical study to see, you know, how Taichi will help with Parkinson’s, basically. And, but he won the Southeast Asian open style full contact. Like in 1980, he was 1980 or 82. And he knocked out this guy called Roy Pink, who in the final. He entered the super heavyweight category, and he was only it was only it was only 14.5 Stone. And the super heavyweight category with this guy was 21 and a half stone he was like six foot eight is like as wide as a house. And I’ve seen the footage and and Dan basically just got knocked down. I think he got kicked. And he got knocked off this platform. This is off a raised platform, which is three foot off the ground. Dan has flown off the platform. He stood up, got back on. And he’s basically just knocked him out in literally under 10 seconds. Like he’s just done three punches, a running Thunder punch, which is 123 punches with a step with a seven star step. And just knocked Roy Pink out, you know, is out I believe, about five minutes unconscious, which is, you know, it’s a long time. But my teacher is smaller, and his frame is more suited to my to my frame. He also won in that year, he won the gold medal as well. But in the middle weight category. I don’t know a huge amount about the fights that he had. But I think you got beaten up quite quite a lot as well. I mean, it was brutal. Yeah, you know, the injuries, these guys had. But this was this was pre MMA. This was just like, any style can enter. You know, this is like 1982 Yeah, before MMA or Ultimate Fighting was even on the scene. But, I think, you know, it was mainly sort of standing up, you weren’t taking people to the ground and doing them over down there, you know, but, but Tai Chi is it is a serious martial art, if trained in that way. You know, I still have a long way to go. I have a lot more to learn. You know, I don’t know all the techniques. I think, you know, there are many, many techniques if you don’t train those all the time, you know, I mean, don’t forget, back in those days, they were training like, 6-8 hours. When Sifu Cheng Ting Hung was alive they used to do a lot of seminars with Dan Docherty and Tong Chi Kin here is a video below to an old training video. They started training when they were little children. Hopefully, there’s been something of interest in that will be helpful to your audience, you know, and the whole concept of just slowing down, being more mindful, find somewhere where you can go and do a martial arts practice of the internal martial arts because you’re slowing the body down. And as you slow the movements down in the breathing down your also slowing down that monkey mind that jumps around and tries to be like the dog running away with the owner. And, you know, just at the end of the day, remember that your mind and your thinking brain is a powerful tool. But in order to really use it in the most effective way, you have to master the capacity for thought, and you have to control it, rather than letting it control you. If you watch yourself during the day, I think you’ll probably find most people do their thinking the same five to 10 thoughts over and over. I came up with an inspirational thought the other day, you’ll like this. So I’m going to end on this because this is this is the piece de la resistance, right? I was thinking about how do I be? How do I become like, massively successful Yeah, like, like, so successful that it’s just ridiculous. I like it, that’s very good! Learn more about Dan Docherty and Taichi-chuan as a martial art, and our style here.